A driver in a crash believed to have sparked a Calabasas wildfire that charred hundreds of acres and forced thousands of residents to flee was identified Monday as a Los Angeles County Fire Department aide. The 28-year-old Glendora man's name was not released because no charges have been brought against him, the Los Angeles County Sheriff's Department said. The blaze dubbed the Old Fire broke out Saturday after the driver lost control of a 20016 Chevrolet Silverado and crashed into power poles in the 2300 block of Mulholland Highway, downing lines in three different places, Fire Capt. Keith Mora said. All of the hot spots merged into one massive blaze. 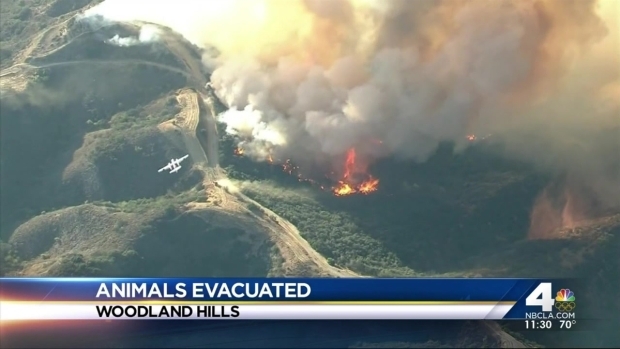 Dozens of animals were reunited with their owners after being forced to evacuate due to a massive blaze in the Calabasas area. Gordon Tokumatsu reports for the NBC4 News at 11 a.m. on Monday, June 6, 2016. Investigators said that the wreck and blaze began about the same time. They have yet to rule the crash sparked the fire. DUI is not suspected, and investigators are looking into whether speed played a factor. 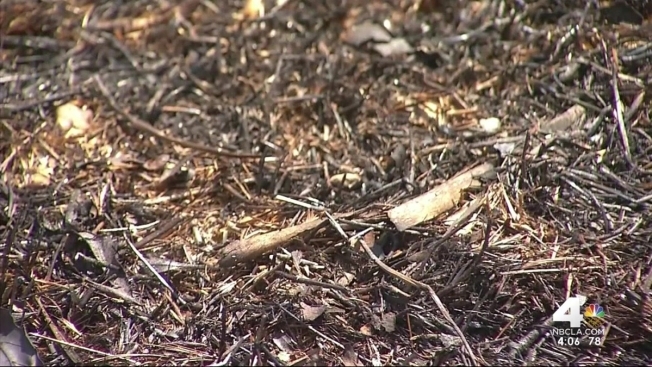 Some 5,000 residents and their animals were forced to evacuate their homes, and more than 500 acres were blackened.